The End of Jihadi Rule? AZAZ, SYRIA—The main street in this small town near the Turkish border is bustling with Saturday morning shoppers. Small grocers line the pavement, their stands stocked with fresh fruit and vegetables. "Almost everything is available," says a woman named Rana, who doesn't give her full name. "Thank god that there are no difficulties these days." Life seems normal here, but look closer and you'll see signs of how things were just a few days ago. Along the main road, a black flag flutters ominously atop a flagpole. A torn black logo peers out from a billboard. These are signs of the brutal jihadist group that ruled Azaz for nearly six months. 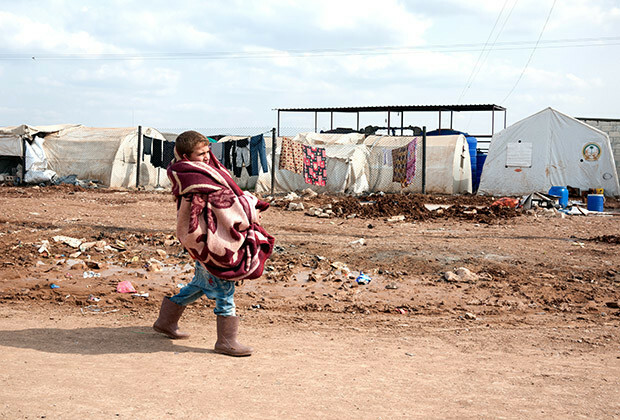 On Friday morning, the group—the Islamic State of Iraq and al-Sham (ISIS)—left town, just hours before a deadline set by rival Syrian rebel groups. "We are free again," says Abu Bilal, a 30-year old driver who sported a freshly shaved face, something frowned upon by ISIS. "[There are] no foreigners in our town now." 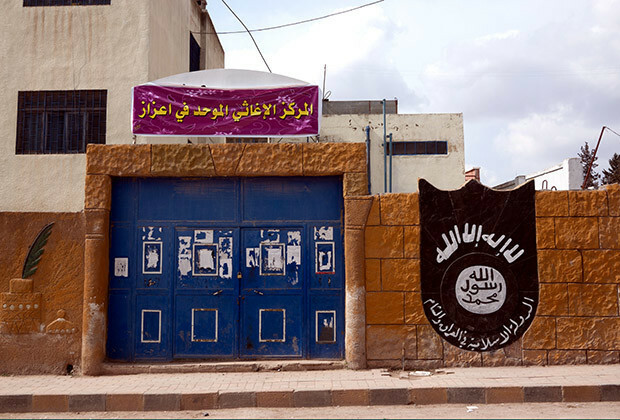 Life under ISIS was harsh, many residents say. The group imposed their version of Islamic rule—banning tobacco and forcing women to cover themselves. On Saturday, rebel groups claimed they found three mass graves containing bodies of locals killed by the jihadists. "ISIS were terrifying people," Abu Bilal says. "They were manipulating the religion. They bring the people and chop their heads off in public. That'sharam." Videos of locals dancing in the streets and celebrating the town's liberation have been circulating on social media. But on the ground, the reality is a bit more complicated. The town is hoping to put ISIS's days behind them, but some locals are still nervous; they're worried that the group could return. "ISIS were fine, it was fine," a shopkeeper tells me as he anxiously shifts his weight and refuses to make eye contact. ISIS targeted those who openly supported other Syrian rebel groups, but today the tables have turned. The Free Syrian Army, the main rebel faction, is looking for ISIS's spies and supporters. And for many civilians who want to keep their families safe, the changes have not entirely brought a sense of relief. As much as ISIS rule was brutal, the group that previously controlled the town, the Northern Storm Brigade, was notoriously corrupt. "Residents were no fans of Northern Storm," says Aymenn Jawad Al-Tamimi, a fellow at the Middle East Forum, a U.S.-based think-tank. "[They]had a reputation for banditry." 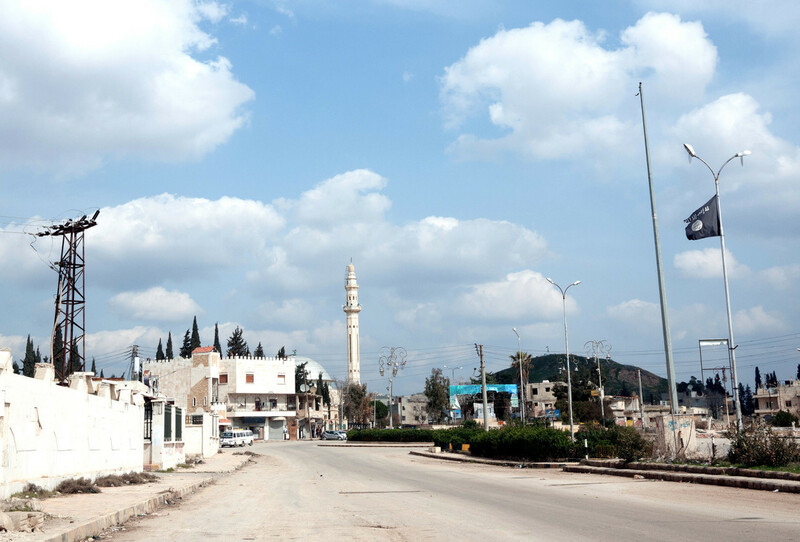 The rebels took control of Azaz from the Syrian government in July of 2012. When I visited at the time, the town was desolate. Vendors hawked gas from jerry cans, but there were few buyers. A battle was raging for a nearby airport, and the Syrian government had been launching scud missiles into town as a form of collective punishment. Most people had fled. Today, trucks rumble through the town's main street, one after another. 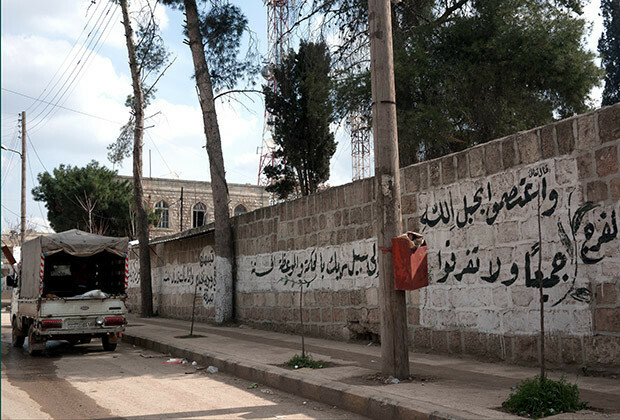 Azaz is part of a key supply route to Aleppo, the county's second largest city, which has been locked in a war of attrition for more than a year. For months suppliers had to negotiate with ISIS or take alternate routes through the countryside. Many didn't even try. Now they're coming in droves, seizing the opportunity to bring much-needed aid and supplies into Aleppo and the villages surrounding it. And yet, ISIS's withdrawal shouldn't be mistaken for a defeat. The move is tactical. Azaz, analysts say, is cut off from the rest of the areas that ISIS controls in eastern Syria. The town was constantly under siege from rebel groups, and the jihadists apparently felt it wasn't worth the effort. "I do not think ISIS will reclaim Azaz anytime soon," says Al-Tamimi. Residents certainly hope he's right. As Abu Bilal puts it: "We are really relieved."